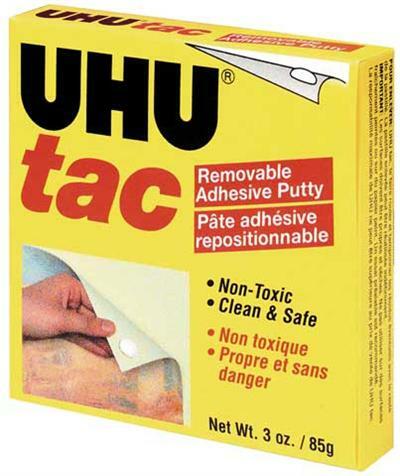 For adhering papers or small objects to most surfaces, Uhu Tac is a safe, clean and reliable adhesive. Removable, reusable and non-toxic, it is pre-scored for easy applications. Uses for Uhu Tac include hanging posters, calendars, charts and decorations.